It’s been awhile since we shared some eye candy with all of y’all, and in light of all the negative wedding cake news as of late, we thought it’d be a great time to round up some of the most drop-dead-gorgeous cakes to make things positive again. Yes, black and white wonders like the newest one-year-only Vera Wang and Ladurée wedding cake collab are brilliant, but sometimes all it takes to send off explosions in your eyes 🤩🤩🤩 is some color, abstract and artistic flourishes, all of which can be eaten. Yum. Gone are the glory days of fondant 🙌 - I hate it, so this is a total win, and now it’s all about spackled buttercream and whimsical, hand-painted details. There’s also a lot more edible art paint, sugar flowers and artistic motifs made from clear isomalt (remember those mirror cakes that were SO big a few years ago?!? ), so cakes almost deserve their own gallery at The Met as opposed to a spot on the wedding dessert table. Check out all of our own cakes & catering inspo! And what goes better with an on-point and ornate wedding cake, than the perfect cake-cutting song? Very few cake bakers can move us with just a single picture, but after swiping through these avant-garde, couture confections, you’ll understand why you should be sweet talking your pastry chef to make you your own for the big day. Check back in in a few days, to catch a few of our FAVORITE new wedding cake flavors to match up with these masterpieces… I had red velvet at my wedding, and will love it forever, but turning up the taste factor on the classic wedding cake is certainly something 2018 brides and grooms will be exploring. 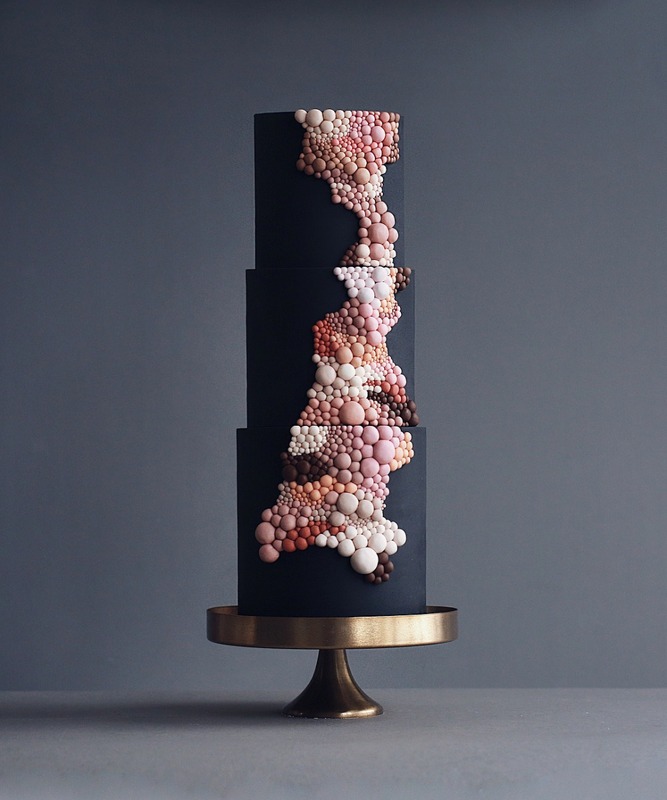 Or these stunning cake designs … if your appetite for totally tight tiers isn’t completely satisfied.